Mirror, Mirror was commissioned by the V&A for the Decode exhibition. The artwork explores the concept of digital narcissism. 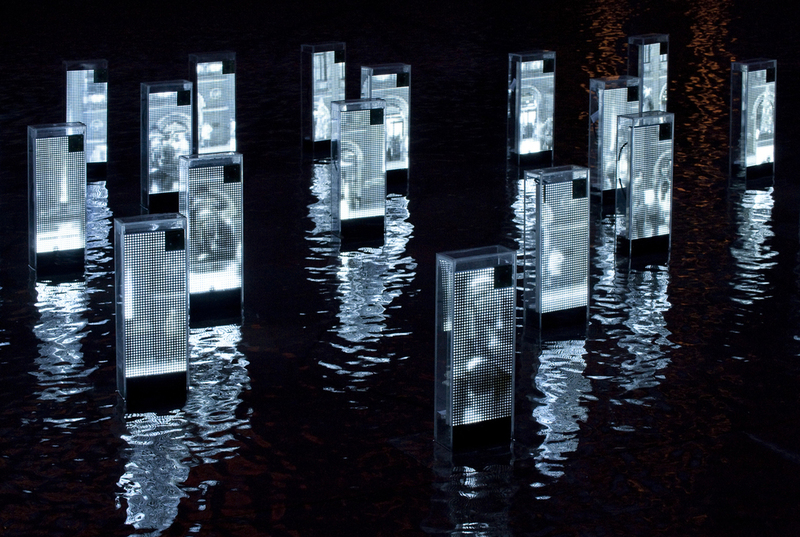 Small white dot matrix monoliths glow on the courtyard pond, awakening as visitors come into view. Cameras mounted within each piece capture and reflect what they see. The real-time digital mirrors are further reflected and abstracted in the surface of the water.